Technology has changed writing in a multitude of ways. Writers have gone from relying on just pen and paper and hitting keys on typewriters to typing up stories on computers and mobile devices, as well as publishing instantly on the Internet. These days, a slew of programs and apps are available to help writers do a variety of things. Here are ten tools that definitely go beyond the pen. 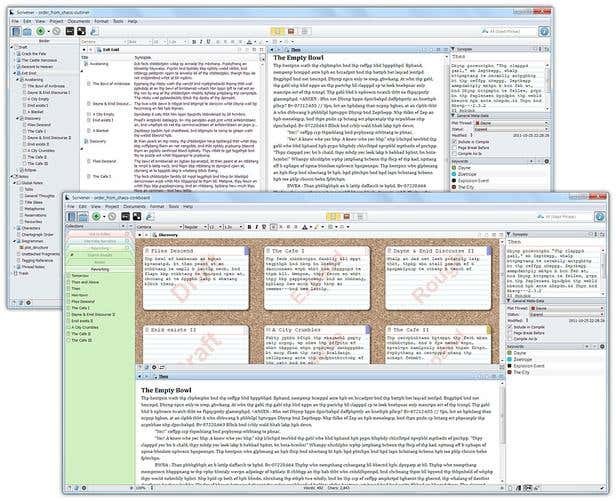 Popular among novel writers, Scrivener offers a complete writing studio in one neat, little software package. This program (available in both Windows and Mac versions for around $40 USD) keeps your research, ideas, notes, and outlines in one place, so you have instant access to everything while writing. The Corkboard lets you organize your thoughts on virtual index cards, while the Outliner lets you move things around on your outlines through simple drag-and-drop. There are templates for other writing formats too. If you're the type whose mind tends to wander and has a short attention span, this tool is for you. 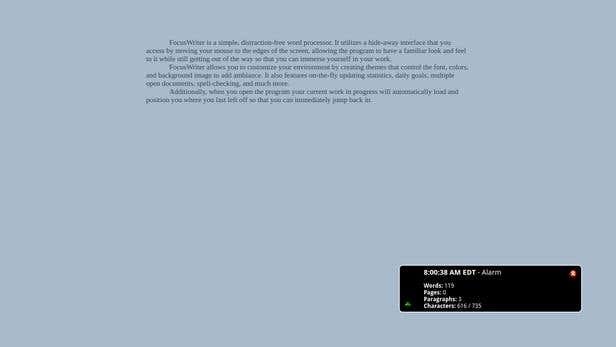 FocusWriter (free and available for Linux, Windows, and Mac) gives you a distraction-free environment, with a hide-away interface that offers you a blank screen to work on. Only your document and a background image of your choosing will appear onscreen so you can focus solely on your work. Timer, alarm, and daily goal features help you get your work done too. Made for screenwriters, Trelby has everything you need to write the screenplay of your dreams. 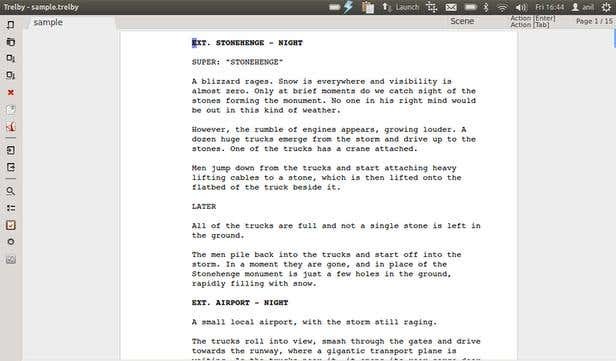 It allows you to write automatically according to screenplay formatting guidelines, and serves up little tools like a worldwide character name database and a spell-checker to help you write even faster. It has several writing modes – fullscreen, draft, and layout – so you can choose what works best for you. It's free and runs on Linux and Windows. Grammarly is a free tool that's well-loved by both writers and editors alike. It's a supercharged word processor that checks grammar and spelling ten times better than the usual text program. It basically makes writing and editing a lot faster, since it does the majority of the proofreading for you. It even makes suggestions on word choices, checks your text for plagiarism, and scans your text in real-time. It installs as a browser extension, so it can correct your writing mistakes wherever you write on the Web, and you can get the Microsoft Office add-in so it can check your documents too. Grammarly is free, but a premium plan is available for more features. 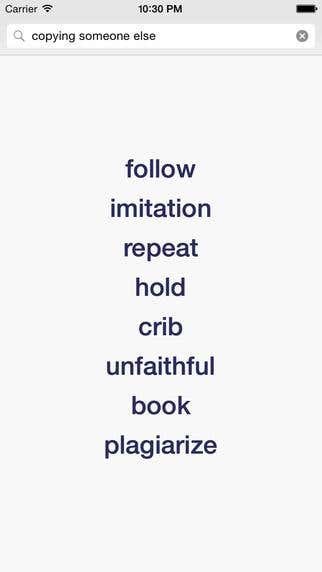 The AP Stylebook has been a trusted writing resource for years. It's a handbook of guidelines on writing style, language, spelling, punctuation, and word usage, and has been a reference for major publications in both print and online. Now the mobile version ($24.99 USD for iPhone, iPad, and iPod Touch) will let you access it anywhere. Wondering if you should use the percentage symbol or spell out the word? Feeling lost with title formatting? 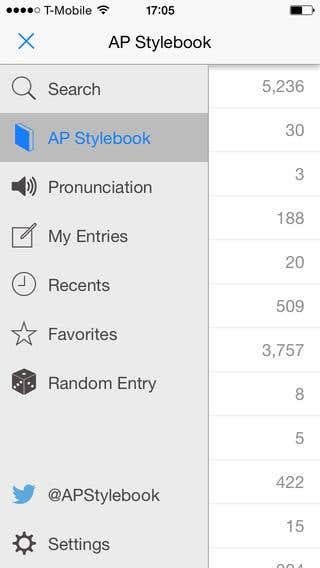 AP Stylebook Mobile has all the answers. 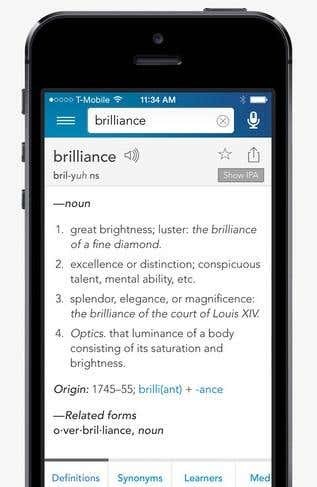 The dictionary is a timeless writer's tool, and Dictionary.com's free mobile app makes it super handy. With iOS and Android versions, it has useful features aside from word definitions, such as Word of the Day, a thesaurus, and slideshows. This writing machine for iOS, Mac, and Android is simple, minimalist, and sleek. It gives you a clean, white page to write on that's free of distractions. It even lets you focus on just once sentence at a time, since the surrounding text fades into the background automatically as you type. Then when you're done, it syncs your files automatically over iCloud and Dropbox. It's free, and there's a Pro version (with features like Night Mode so you can write in the dark) that you can try for three weeks. 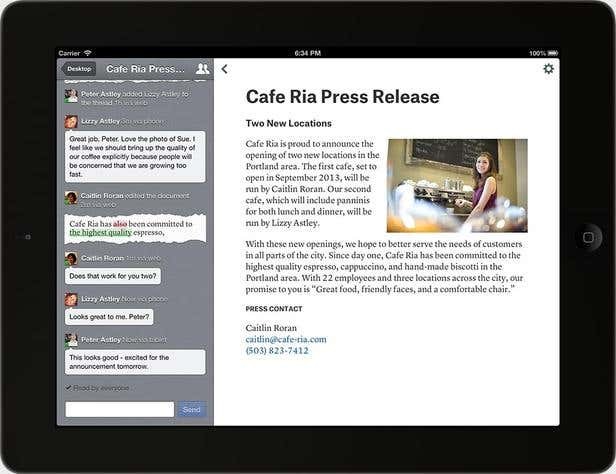 Made for collaboration, Quip is perfect for writing teams. Groups can access documents at the same time, from any device. Each document comes with a chat thread, so you can talk to your team while writing. A task list for every document can be added also, which can serve as a virtual whiteboard for your team. 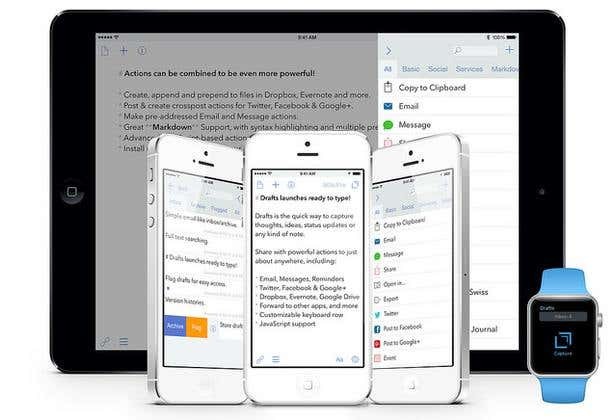 Quip has a free version, along with paid business and enterprise versions. This tiny $0.99 USD app offers a reverse dictionary. You can describe what you have in mind and it will give you a list of possible words. If you find yourself trying to find the word that's on the tip of your tongue, this app will help you pin down what it is. You can type in a word and it shows you its meaning instantly as well.